Slow down the pace this month to find your inner vibe and stretch your mind, body, soul, and sole. This is not a misprint! 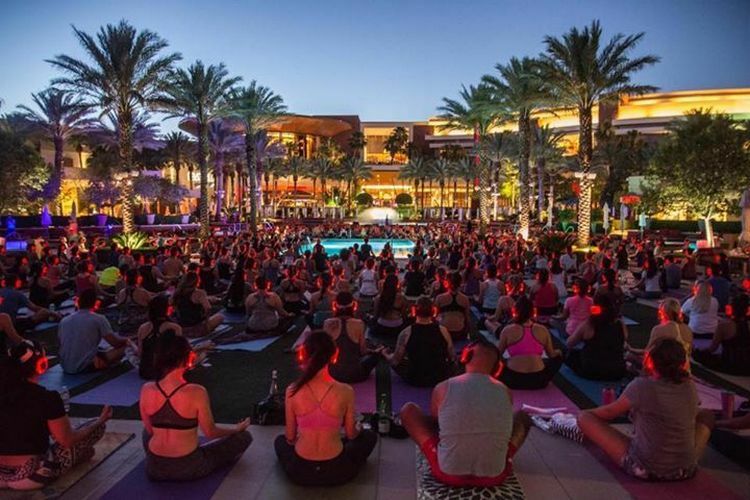 Yoga has been circling around Las Vegas hot and heavy for the past year, and events have already been set through November at Red Rock Resort, Green Valley Ranch and Westgate Las Vegas Resort & Casino. For the month of June, Silent Savasana is being held on Wednesday, June 6th at Westgate on their 3rd floor pool deck. Green Valley Ranch has Thursday, June 14th and Red Rock has Thursday, June 21st set aside, also at their pool areas. This yoga class is free! You are encouraged to either sign-up for the events on their websites, or, arrive when they open at 6:00 p.m. to pick up your headphones and choose a spot. You should bring your yoga mat, water and a towel. These events bring out hundreds of people of all ages with the classes all beginning at 7:00 p.m. The Silent Savasana headphones are given to each person which provide instruction and music for your enjoyment and to help immerse you in the experience.The classes teach focus, balance, strength of mind and discipline with Yoga trend setter Dray Gardner motivating you with training and a DJ. He has instructed on the High-Roller observation wheel at The Linq with “Yoga in the Sky” and held classes at Caesar’s, The Palms and locations around the country. Keeping the Yoga theme going, the Tuscany Suites & Casino on Flamingo is having the 7th annual Health, Healing & Happiness Expo from June 8th through the 10th. There are charges for this event! The Expo Hall Pass is $25 and there are various prices of $49 for Single Workshops, which includes the Hall Pass, 1 Workshop and a $100 Digital Giftbag or $55 for a Speaker Session including the Hall Pass, 1 Conference Speaker Session and the $100 Digital Giftbag. The General One Day Bundle for $119 gives you a General Day Pass for Saturday or Sunday, including all Conference Room Sessions, a Yoga & Fitness Class, Meditation Class, Expo Hall Access, and the $100 Digital Giftbag. 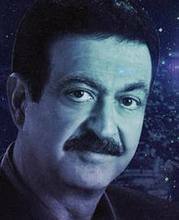 The Silverton Hotel & Casino is hosting Emmy Award-winning George Noory, Nightime Coast to Coast AM radio host, who will be conducting interviews with questions and answers on various topics, most notably paranormal activities and conspiracy theories. His featured guest is a UFO, classified document and Area 51 expert who will be discussing the current activities, abductions and conspiracies. Other guests are a man that was hit by lighting twice and George Knapp, news anchor and talk show host. There will be other guests and entertainment. General admission is $55 (includes fees) with the show beginning at 5:00 p.m on Saturday, June 9th in the Veil Pavilion. 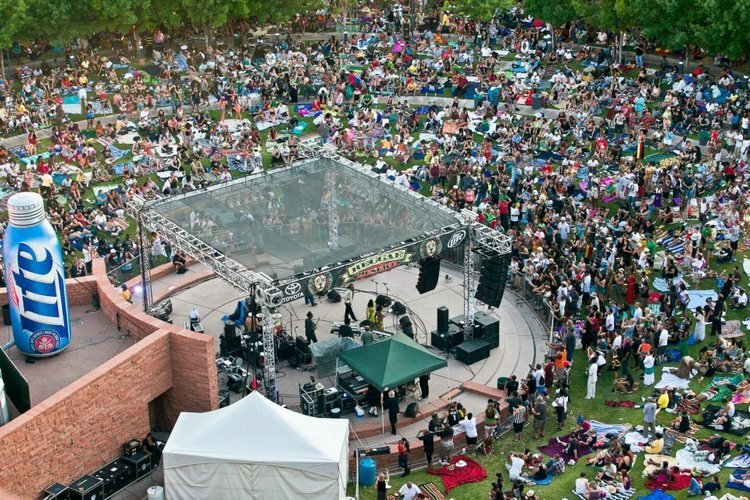 Clark County is doing it again with their Reggae in the Desert concert for the 17th year at their outdoor amphitheater on June 9th. This is an all day concert featuring at least 8 bands, with the gates opening at noon and closing at 11 p.m. They encourage you to bring your blanket because lawn chairs are not allowed at this event. More information is given on this website https://www.reggaeinthedesert.com/ regarding food and beverage vendors. Always remember to bring sunscreen if you plan on attending all day. They do not allow re-admission, and advance general admission was $24.99 in May. Expect an increase in price at the gate. These concerts at the government center are truly unique, reach deep into your soul and are a load of fun with great entertainment and comradery. The music is great, the food offerings are good and creating new friends is wonderful for newbies to Las Vegas. If you miss the Reggae concert there are also two Jazz In The Park concerts in June. On June 2nd, the Groove Project is featured, and Mindi Abair will be there on June 16th. 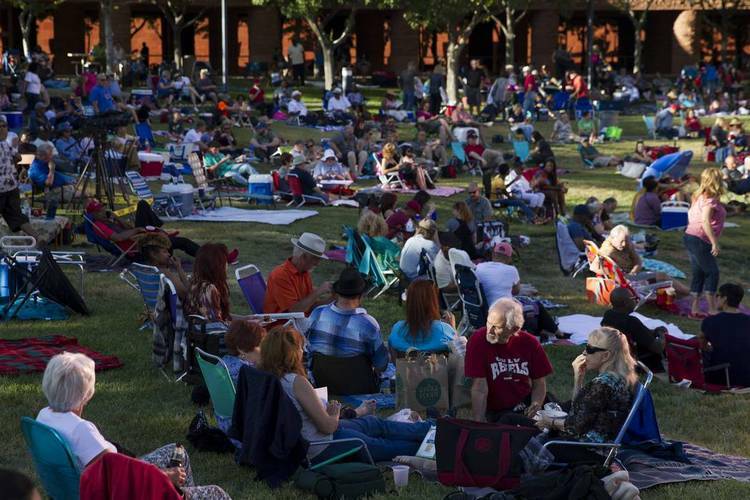 Unlike the Reggae concert, Jazz In The Park concerts are free of charge, and, unlike the Reggae concerts, you are allowed to bring low-back chairs, picnic baskets and blankets. The concerts begin at 6:30 p.m., with admittance at 5 p.m. so you can find your perfect spot! Parking is also free in the government parking lots. Drink and food vendors will be onsite for your pleasure. Now that you have stretched your body and soul and found your inner vibe, it’s time for the sole part of your journey. 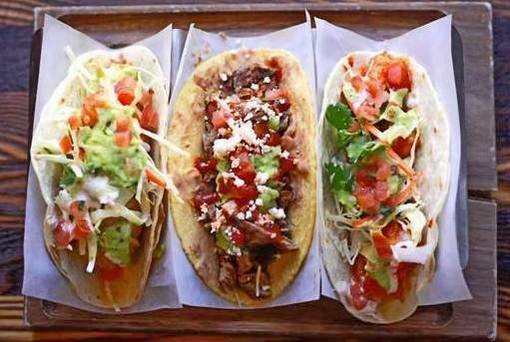 Zappos, that famous online shoe retailer, is holding the Hopped Taco Throwdown on June 23rd from 8 p.m. until 11 p.m. on their campus for adults (21+) only. Or, you can get in at 7 p.m. with VIP admission. The prices are $65 for beer and taco tastings and $85 for VIP entry. The location is The Backyard at Zappos and is really cool, with tables, grass, trees, and artwork to keep you relaxed and socializing. Twelve chefs will be competing by creating unique taco concoctions to be the ultimate winners of the fest. And the craft beer provided by the Motley Brews Experience is suited to the tacos created. This is only their second year of this festival, and we hope it will be as exciting as last year’s. Trying Drunken Rabbit tacos made by Herringbone Restaurant or Reuben tacos from Tacos & Beer was an experience not to be missed. At the Suncoast, 90 NINETY Bar + Grill is an all-new contemporary yet casual American restaurant delivering modern cuisine, an expansive brew and cocktail selection, and live music. The neighborhood-style restaurant, named after its 9090 Alta Drive address, is an ideal setting for social hour gatherings, dinners, and lounging – both inside, and on the outdoor patio. 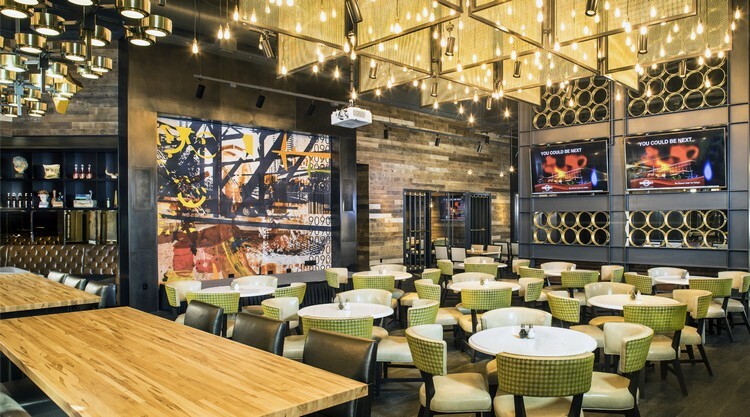 The new venue located off the casino floor with 14 large-screen televisions includes a detailed deluxe bar, cozy lounge space, main dining room accented by a stage for live musical performances, 14-seat private dining room, and an outside patio. The design showcases an eclectic blend of vintage and modern elements with exposed filament lights and shimmering brass chain structures over the bar. Walls are adorned with a mix of whitewashed brick and rough-sawn planking, and an authentic collection of neon signage from the former Stardust resort. There’s live music Thursday through Saturday starting at 8 p.m. Among the drinks are 24 brews on tap and a house brew from sister restaurant and downtown brewery, Triple 7 Restaurant and Mircrobrewery at Main Street Station. Early and late social hours go from 5 to 7 p.m. and 9 p.m. to closing. Dinner service is Wednesday through Sunday starting at 5 p.m. The venue is closed on Monday and Tuesday. DjangoVegas! Gypsy Jazz Festival, the annual celebration of the music of Django Reinhardt and other gypsy jazz musicians, will be held Saturday, June 16 from 4–10 p.m. at the Historic Fifth Street School, 401 S. Fourth Street. Tickets are $20. Local musicians will hold an open jam session from 4-6 p.m. The performance starting at 6 p.m. will feature The Black Market Trust, Harmonious Wail with Björn Thoroddsen, and Hot Club of Las Vegas. The event is open for all ages. Grammy-nominated singer-songwriter, producer, actress and activist Janelle Monáe is bringing her upcoming North American “Dirty Computer Tour” to the Pearl Concert Theater at the Palms on Tuesday, June 26 at 7:30 p.m. with special guest St. Beauty. Tickets start at $39.95. 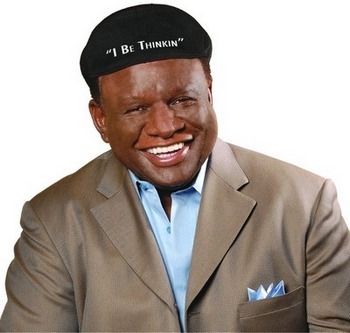 Comedian and star of stage and screen, George Wallace, is returning to Las Vegas with a new residency show at the Westgate Cabaret beginning Tuesday, June 26. Wallace will perform Tuesday through Thursday at 8 p.m. inside the cozy Westgate Cabaret at Westgate. Tickets are $65, $75 and $95. Wallace derives his material from everyday life and shares the moments. He finds humor everywhere he turns from media to relationships and at all costs avoids standard opening lines. Wallace began his career as a writer for “The Redd Foxx Show” and made a huge splash on the stand-up scene as one of 150 competitors on the cable television special “The Big Laugh Off.” Wallace captured first prize, which included club gigs all over the country. Recently, Wallace appeared on “Comedians in Cars Getting Coffee” with Jerry Seinfeld and starred alongside Morgan Freeman in the film “Just Getting Started.” He will be appearing in the upcoming movie “The Last Laugh,” with Richard Dreyfus and Chevy Chase. 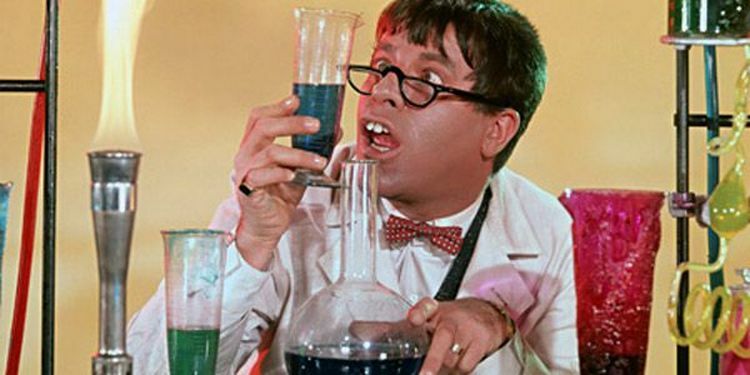 Among the wardrobe and props from his famous movie “The Nutty Professor,” there is a trio of vintage prop black frames including reading glasses with painted eyeballs on the lenses, a collection of custom funny teeth, and a tweed burgundy suit worn by Lewis in the film.